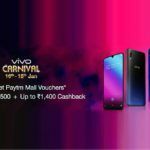 Without any hullabaloo, Vivo has made its new Y93 smartphone available in the Indian market. However, it is possible that this is a case of early devices being made available by brick and mortar stores before an official launch. Vivo had officially unveiled and released the same device in China last month, but the chipset powering that model was different. 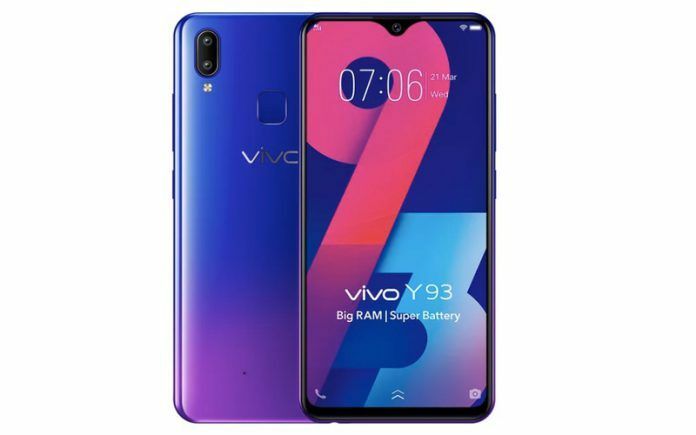 Here, the Vivo Y93 comes with a 6.22-inch HD+ display, 4GB of RAM called ‘big’ by the company, and a ‘super’ 4030mAh battery. Read on for pricing and other details. 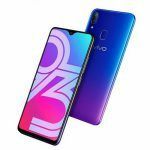 The Vivo Y93, although a budget offering, looks handsome. The device comes in Starry Night and Nebula Purple color, the latter being an attractive gradient mix seen on much pricier phones. The device also sports a waterdrop notch, which is not the first but still a rare phenomenon in this segment of phones priced under INR 15,000. You get a tall 6.22-inch display, but since it has only HD+ screen resolution, the pixel density is anything but impressive. With just 271 pixels per inch, the phone is at the bottom of this particular range, although, there are several phones in this budget that make do similarly. However, in this aspect, we can guide you towards better alternatives, but more about that later. Camera gear is also not exactly mind-boggling but is not far behind what is offered by most handsets in this price range. You get a 13MP+2MP dual-rear camera, which is a decent offering, but the 8MP front camera comes as a dull thing because there is an increasing number of better alternatives out there. Where Vivo did good is the battery department, equipping the Y93 with a nice 4030mAh battery. However, no fast charging is mentioned, and there is no Type-C USB either. Again, this is typical for the price, so it is excusable. The device in China is powered by a Qualcomm Snapdragon 439 chipset, but in India the phone gets a MediaTek Helio P22 SoC, which may not be such a good thing. 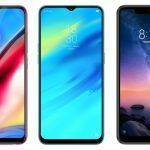 Snapdragon chipsets are generally regarded as much better and more dependable performers than Helio offerings, so this is clearly a cost-cutting measure, possibly because of higher taxes in India. As mentioned earlier, the chipset is paired with 4GB of RAM, which is rare in this segment, but is not all that necessary. 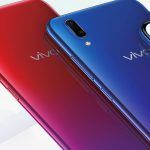 A budget handset with Helio P22 or Snapdragon 400 series processor hardly needs more than 3GB of RAM for smooth functioning, but Indian consumers love big numbers, so Vivo played it well there. Of course you cannot expect Android 9 Pie out of the box for a budget device like this, so you get Funtouch OS 4.5 based on Android 8.1 Oreo, and we’ll let you know if Vivo makes a mention of Pie during the official launch, if there is any. 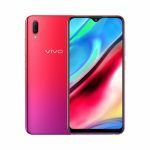 The Vivo Y93, according to 91mobiles, is available at all major retail stores in India. The price is INR 13,990, and there is no other variant except the standard 4GB RAM plus 32GB storage one. 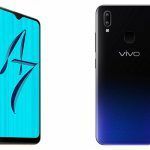 We do hope that Vivo holds a proper launch event and gives more clarity about possible variants to come, as well as other details. For INR 13,999 (at Flipkart) you can buy a new Xiaomi Redmi Note 6 Pro. Do we need to say anything more? We do? Okay. If you buy the Redmi Note 6 Pro, you will get a similar size display but with Full HD+ screen resolution and 403 pixels per inch, a Corning Gorilla Glass protection, a Qualcomm Snapdragon 636 chipset, a similar dual-rear camera but a 20MP+2MP dual front camera, and a 4000mAh battery. Now, need we say more? But we will. At INR 13,990, you also get a Realme 2 Pro. This handset comes with 4GB of RAM, a Snapdragon 660 chipset, a waterdrop notch, Corning Gorilla Glass 3, Full HD+ screen resolution with 403 pixels per inch, a 16MP+2MP dual-rear camera, a 16MP selfie camera, dual-band WiFi, and a 3500mAh battery with 10W fast charging. Go figure. While we are at it, check out the review video of the Vivo Y95 specifying five pros of the device by Mysmartprice Gear.